The PT9000TWA Tank Weighing Assembly is a fully configured weighing assembly ideal for use on tanks, silos and hoppers. It consists of a medium to high capacity PT9000 nickel plated tool steel, double ended shear beam load cell and mount kit. Providing outstanding performance and protection, the assembly includes special hardened contact points and an IP rating of 67. Maintaining weighing systems are easy with the PT9000TWA, the mount is fully self aligning and completely constrained within the mounting, providing both uplift and side restraint. 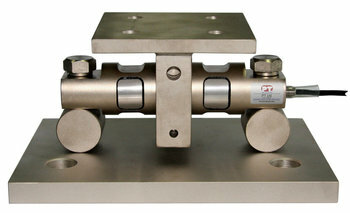 The load cells are end mounted and center loaded for precision weighing; this feature offers a design simplicity that will provide years of accurate trouble free use.